Ortigas CBD, Pasig, Metro Manila, Philippines | November 28, 2018 – Joy~Nostalg Hotel & Suites Manila marked the beginning of its festive celebrations with its Annual Tree Lighting Ceremony held last November 28, 2018. This year, the hotel is supporting Virlanie Foundation’s retail brand Likhaya, in lieu of its commitment to helping local communities and organizations as well as promoting sustainability as part of AccorHotels Planet 21 initiative. Likhaya by Virlanie is a social enterprise that sells sustainable handcrafted bags and accessories made of upcycled magazines. The project name is derived from Filipino words “LIKHA” which means “create”, “SAYA” which means “happiness”, “KAYA” which means “able” or “ability”, “LAYA” which means freedom, and “PAMILYA” which means family. 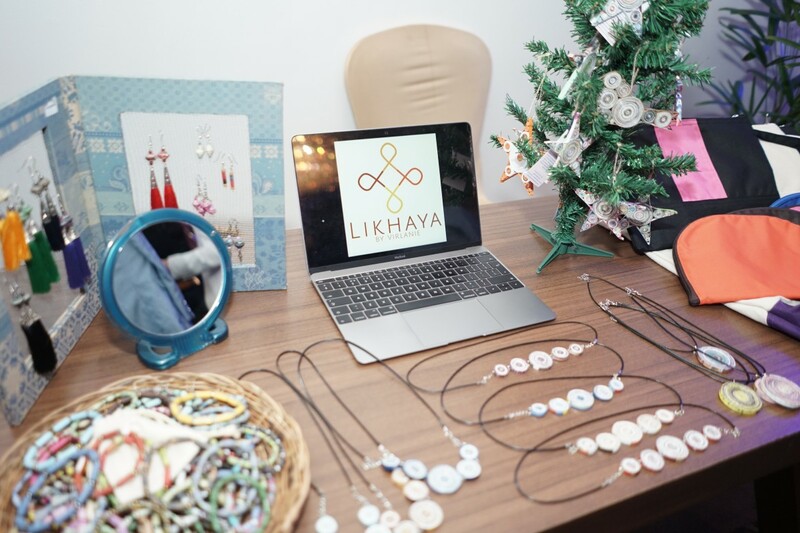 Likhaya empowers and gives mothers and young adults the opportunity to develop their skills in creating the products and hone their skills in social entrepreneurship. “Likhaya by Virlanie and Joy Nostalg has been working together this Christmas season to provide more inclusive livelihood opportunities to the mothers and young adults among Virlanie’s community, street, and residential areas of intervention while also making an impact to the environment and to the children that we serve,” said Mary Antonette Flores, Social Entrepreneurship Manager of Likhaya by Virlanie. Joy Nostalg Manila collaborates with Likhaya by allowing them to set up a booth at the hotel lobby where they can sell their products for the duration of the Christmas season. “We want to involve our guests in our cause and part of this is to make sure that we give them gifts that they can actually use and at the same time support our sustainable efforts. 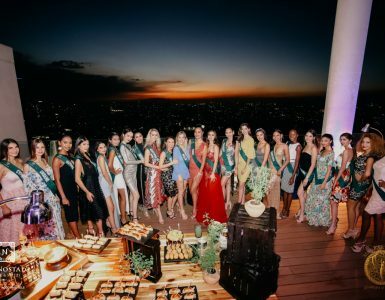 Apart from being part of the Planet 21 initiative of AccorHotels, it is also our commitment to give back by starting to help the community around us and protecting the environment at the same time,” said Shane Edwards, General Manager of Joy~Nostalg Hotel & Suites Manila. Book your stay at Joy Nostalg Hotel & Suites Manila this Christmas Eve or New Year’s Eve and celebrate the season with our Festive Getaway packages starting at PHP12,000 nett, inclusive of breakfast and Christmas Eve or New Year’s Eve buffet dinner. 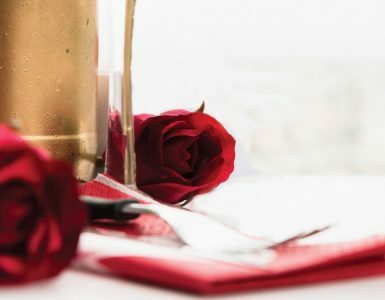 Package 1: Php12,000 nett: Overnight Stay in a Studio Executive Suite, Breakfast buffet for two (2) adults and two (2) children below 6 years old at The Nostalgia Lounge & Bar, and Dinner Buffet for two (2) adults at The Nostalgia Lounge & Bar, inclusive of two (2) glasses of sparkling wine. 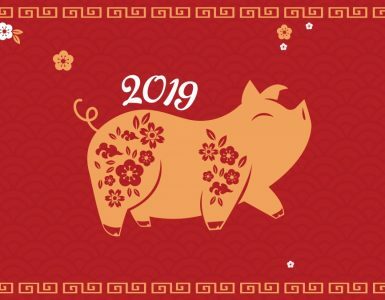 Package 2: Php14,000 nett: Overnight Stay in a One Bedroom Suite, Breakfast buffet for two (2) adults and two (2) children below 6 years old at The Nostalgia Lounge & Bar, and Dinner Buffet for two (2) adults at The Nostalgia Lounge & Bar, inclusive of two (2) glasses of sparkling wine. Derived from Filipino words “LIKHA” which means “create”, the act of which our mothers and young adults create the products, Likhaya is a social enterprise under Virlanie Foundation, Inc. that aims to develop the skills of street children and mothers in handcrafting and social entrepreneurship.